North Korea’s official newspaper criticized Seoul‘s planned deployment of stealth fighter jets on Sunday, warning that such a provocative act could throw cold water on the growing peace mood on the Korean Peninsula. “The move by South Korea’s military authorities to strengthen their military capability runs counter to the Panmunjom Declaration and the September Pyongyang Declaration,” the Rodong Sinmun said in a commentary, referring to the agreements reached between the leaders of the two Koreas last year. “The good opportunities for talks and improvement in North-South Korea relations in the past were also lost in the end without producing major achievements because of no other than such military provocative behavior,” the paper added, pointing to Seoul‘s reported plan to acquire stealth fighter jets from March. 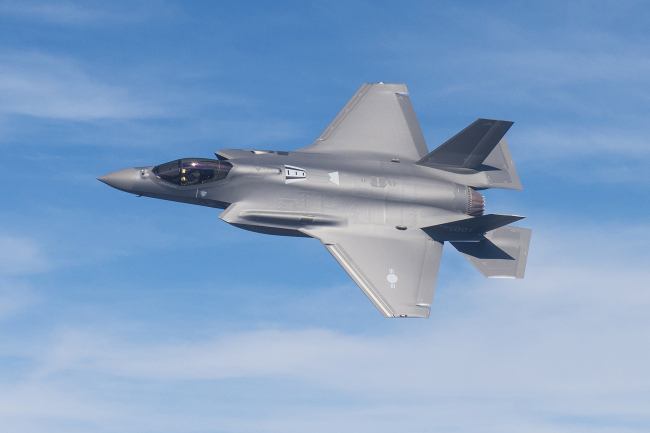 South Korea agreed in 2014 to purchase 40 F-35As for about 7.4 trillion won (US$6.6 billion). It was reported that two F-35As will arrive in South Korea in late March with about 10 of them to be deployed before the end of this year. The paper urged Seoul to stop conducting joint military drills with outside forces and called for no foreign strategic assets to be brought to the Korean Peninsula, reiterating demands made by North Korean leader Kim Jong-un in his New Year’s Day speech.